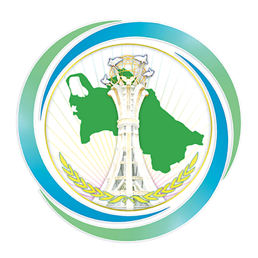 On January 31, 2019, a meeting was held at the Ministry of Foreign Affairs of Turkmenistan with a delegation that arrived in Ashgabat on a working visit headed by the European Union Special Representative for Central Asia Peter Burian. During the meeting, the sides discussed a number of issues related to the development of cooperation between the EU and Turkmenistan in 2019. In this context, in order to strengthen cooperation, the issue of opening a representation of the European Union in Turkmenistan was emphasized. Also, there was an exchange of views on the new strategy of the Union for Central Asia, which is the European vision for the development of mutually beneficial relations between Europe and Asia. This strategy is based on three priority directions for the EU: building up transport links, creating energy and digital networks, and expanding contacts between people. Further, the issues of strengthening regional and inter-parliamentary cooperation, as well as the development of relations in the fields of logistics, transport, energy and humanitarian relations were discussed. Based on this, the sides discussed the priorities of the Turkmenistan Presidency at IFAS and the initiatives of Turkmenistan and Romania to create a Caspian Sea - Black Sea transport and transit corridor, including the route Turkmenistan-Azerbaijan-Georgia-Romania. The sides also discussed the security situation in Central Asia and Afghanistan and exchanged views on improving interaction in the region.